Are you a musician, visual artist, dancer, actor, filmmaker or other artist living in the NYC area? 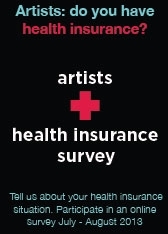 If you answered YES to both questions, we invite you to participate in a focus group on Wednesday, March 7 about artists and health insurance. 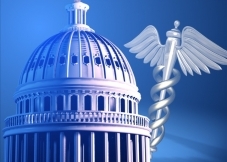 The meeting will be 90 minutes long and held at a subway-accessible location in Manhattan. 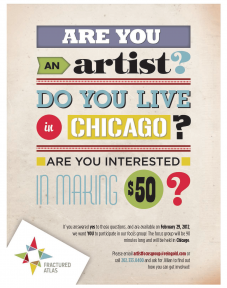 Please share widely with your artist friends. 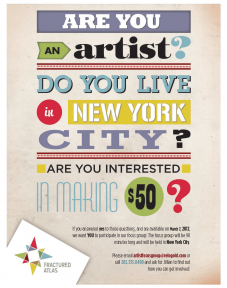 We want to hear from a diverse range of NYC area artists.